Patty, (who btw won the ebook copy of Existence) tagged me on her blog challenging me to talk about myself--er talk about my works in progress which to me is sort of the same diff. She said she added me because she knew I had, "An abundance of WIPS," and she was absolutely right. I am going to preface this by saying, I usually only work on 3-4 projects at once. I know to a lot of people that sounds like a lot. Really, it's the only way I can get as much done as I do. Not because of the numbers involved, but because if I need a break/get stuck/ want to throw my manuscript at the wall (not that it has ever happened to me) I can turn and work on something else. Right now, that number is a lot higher. Why? Because I just had a baby. I know that makes no sense. The truth is, I am behind schedule. I will be caught back up in October, and until then I am working on [almost] too many to count. THEN I got to pick 5 peeps to torture. These books are getting ready for publication, or re-publication. After my split with Red Iris I had a mini freak out. I went from living on someone else's schedule (I had deadlines which were contracted) to being able to do whatever I want. My plans all had to change, and it took me a few weeks to be completely fine with that and to find people that could help make the process easier. I make myself edit at least 3 pages of this book everyday. Even if I don't want too, even if I need sleep. Even if I end up doing it at 3am while blurred eyed and feeding a newborn. I really don't want to be.. not because I don't like the book, because I do. The Desert of Ash and Waves is book 3 of Skeleton Lake series and I think it's my favorite.They tend to get (in my humble opinion) better because I like Marlow a lot more as she grows up. It's also the longest, and spans the most miles. The reason I'd rather not be editing is is because it's going to be so long before it comes out. The re-release of Skeleton Lake and the release of Skeleton Song, will happen *likely* on or before the anniversary of Skeleton Lake which is October 27th. 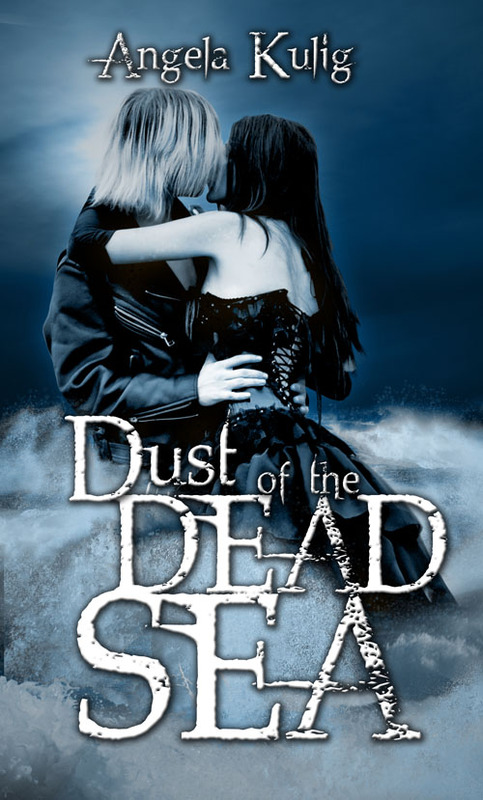 Then this second book, Dust of the Dead Sea isn't even scheduled yet. I am due to completely rework my 2012-2013 schedule as soon as baby Thistle sleeps through the night. I started to tell you a little bit about The Desert of Ash & Waves but you'd be pretty lost. But we know from the end of Skeleton Lake that Marlow, Raiden, and Conrad are headed away from Skeleton Lake. Sadly, for them being away from home is going to become something of a trend. Granted is a book I am really excited about. For a a multitude of reasons. The first is, it takes the place of Pigments of My Imagination in my SOUL. By that I mean, though they are very different books they both occupy the same part of my heart. They are both Supernatural Romance books--which is a sub genre I have been listing more and more. Essentially, they are like paranormal romance books but my paranormal books tend to be darker and live in universes that give Tim Burton's movies a run for their money; they also contain paranormal creatures, though they don't seem to be standards, like vampire and werewolves. In my opinion, my supernatural books read more like contemporary fiction with supernatural elements. The world they exist in is our world, often beautiful, often ugly, but it feels like home. That is the difference in what I label my books. 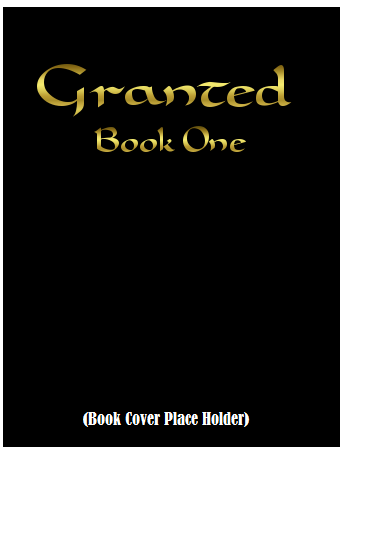 Since Granted is the first book in a trilogy, let me tell you a little something about it. I didn't think this out if advance, so hopefully it will do the concept justice. It is something like a fairy tale. Though if you know me, you know I couldn't just do that. The main characters are a Saudi Prince and the average duct-tape loving girl next door. This isn't a Cinderella story. Their happily ever after could never come in a castle, because first they have to overcome everything they have already earned--severe reward, and severe punishment. Even if they do manage to escape the destinies that have been gifted to them, they won't be able to remember doing it. I thought about subbing it out before publishing it. What do you think? Currently I am working on making the side story just right. It's young adult if that wasn't obvious. Those Damned DeLeons. I often tweet when I get book ideas, and if you pay attention you would know I claim to always get them in 3's. I thought if Pigments, Skeleton Lake, and this book within days of each other. That was a particularly good run, they aren't always three good ideas. Anyway, TDD for short, is a paranormal sudo romance that is almost but not quite a middle grade book. The world of TDD is the best and most horrible I have ever dreamed up. In it, three boys sell there soul to devil to payback their fathers debt. It doesn't even seem like such a horrible gig, they won't age a day and time doesn't pass the same way in hell. No one will even miss them--that is, if there is enough human in them left to return. The secrets of the world are woven around like spider's silk, sometimes if I touch it wrong I screw up a whole lote more than I meant too. One more! 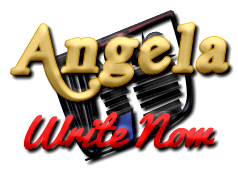 I am currently plotting this book for the 3 Day Novel Contest. You will be hearing a lot about that later. This is my third year entering the contest and I am super excited about it. I thought up this book while tweeting the other day, I had another book slated to write labor day weekend but I decided it had to be this. 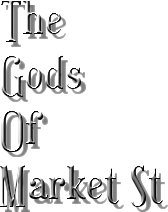 The Gods of Market Street, my first ever adult paranormal book. Ok I'm done now. I know I am leaving some things out (like every last one of my middle grade projects. That query letter I have been meaning to get to and two anthology pieces) but this was what I could recall WRITE Now. Here is who I am tagging (now run off and tell me about your WIPs) I choose 5, then you choose 5. Move it or lose it Mr. Far, Heather Jacobs, Maurice Lawless, Ali Cross, and Tiffany King. I think my head would explode if I had that many WIPs. Mostly because I'm not that organized and I tend to shut down when stressed. That's very unproductive. Whew. I thought I'd just skim, but ended up reading every. single. word. Blazes! Of course I'm not surprised--this is YOU. So I knew what to expect. GRANTED sounds awesome. And *sigh*. I suppose if you tagged me I must play along. I shall post next Wednesday! Goodness, and I thought my five projects in various stages of completion would do me in! I can't even imagine, let alone with a newborn on top of it. Good luck with keeping it all together! My head would explode. I thought I commented already. I still have to wonder how you manage to find time to write with all the kids you've got. Your hubs must be infinitely more supportive than what I've got here. It'll be interesting talking about my WiP (What, it's Progress?) — the only thing missing is a fun little badge to stick in the sidebar! ;-) Damn, now who am I going to tag? Now I knew you had parted ways with Red Iris — I kind of read between the tweets when it happened — but you never blogged about it. I can imagine the "mini freak out," it would be like a job change, wondering for a while if you did the right thing. Then the "new normal" establishes itself.